The Katsina State Government, says it will introduce a well funded free education scheme to people living with disabilities studying in tertiary institutions. 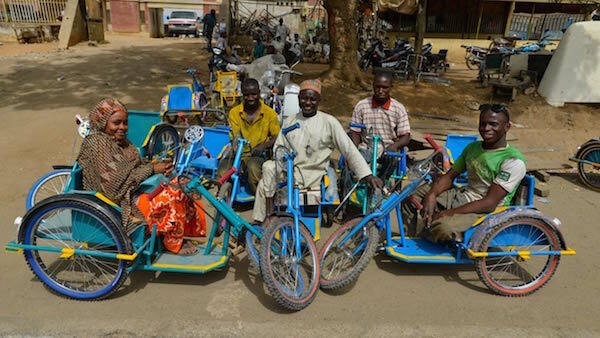 “The government will not place the physically challenged people under the scholarship scheme but they will be placed under a well funded education programme,” an official told the News Agency of Nigeria (NAN) on Monday in Katsina. Muntari Sani, Special Adviser to Gov. Aminu Masari on People Living with Disabilities, said the government already offers free education to people with special needs in primary and secondary schools. “The present administration has completed all arrangements to finance the education of our physically challenged persons in tertiary institution across the country. “We are trying to place them on a special package that will assist them to further their education without tears. “So far, we have purchased JAMB forms for 20 physically challenged persons and they will seat for the exam any time in from now,” he said. Sani assured that Gov. Masari places special consideration on the welfare of physically challenged persons and would motivate them to attain their full potentials in life. NAN reports that Sani, who is visually impaired, graduated from Ahmadu Bello University, Zaria.